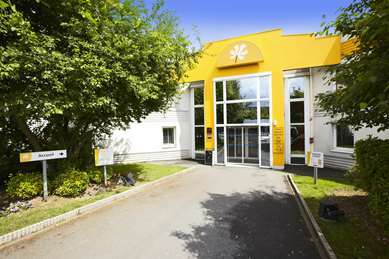 Come stay at our budget Hotel Première Classe Roissy - Villepinte - Parc des Expositions, in the heart of the Villepinte Exhibition Center. 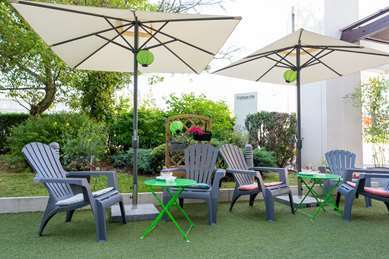 Hotel Première Classe Hotel Roissy - Villepinte - Parc des Expositions is the closest hotel to the Villepinte Exhibition Center, as its entrance is just 100 yards from our door. As the name suggests, it is also very close to Roissy-Charles de Gaulle: the terminals of the airport and the TGV station Roissy CDG are accessible in 5 min by the RER. A large establishment with 154 rooms, completed by a restaurant seating 120, it is perfect for business trips in the context of trade fairs (House and Object, Silmo, Sial, Air Show, Japan Expo ...) but also for groups visiting Paris or the surrounding area (Parc Astérix, Disneyland® Paris, Stade de France, Parc des Expositions du Bourget ...) using highways A1, A3 and A104. 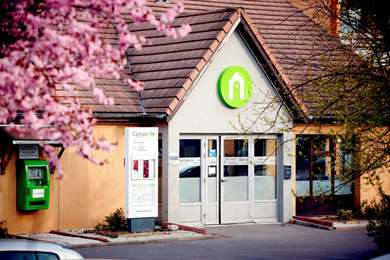 Open 24 hours a day, 7 days a week, our hotel is a practical and affordable solution to accommodate up to 3 people, with an eye on the budget. 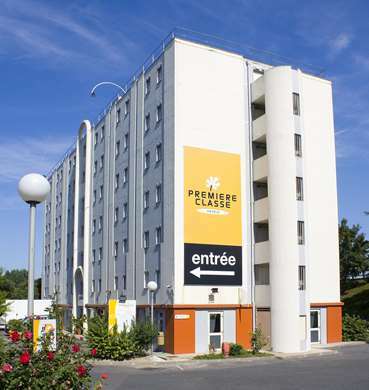 The 154 rooms of Hotel Première Classe Roissy - Villepinte - Parc des Expositions are not only secure but also air-conditioned and soundproofed. So that you don't waste precious time, our hotel has an enclosed parking lot and a restaurant. And for your work or relaxation, you also benefit from our exclusive Wi-Fi+ service: a free broadband Wi-Fi connection throughout the hotel. In order to meet all your needs, we offer single, double, twin (two single beds) and triple rooms, some of which are strictly non-smoking. All rooms have their own bathroom and toilet. 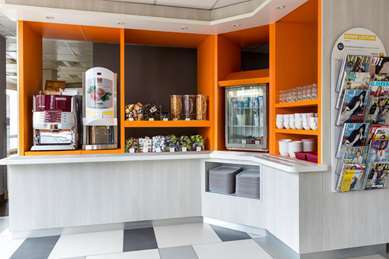 In addition, they also offer a desk, a flat-screen TV and free Wi-Fi. Our hotel also has 3 wheelchair accessible rooms for up to 3 people. Recharge your batteries with our all-you-can-eat breakfast buffet for only €5. Children ages 10 and under receive a 50% discount (offer valid for paying hotel guests, up to 2 children per adult).